"Anyone looking for a cogent explanation of this year′s most visible grassroots political movement will find this a clear–headed . . . insider′s account." "An interesting read . . . read it and learn about it for yourselves." "Fifty years from now, historians will be reading O′Hara′s book to understand one of the great pivot points in American politics." "The ultimate citizens′ guide to making the government accountable." 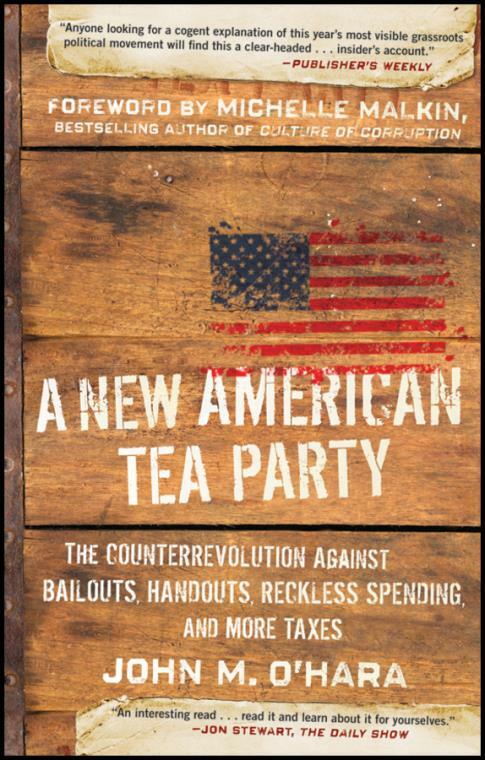 "Finally, an accurate overview of the modern tea party movement that has been well researched and without an agenda . . . What is most useful is the fact that [O′Hara] realizes that those involved are motivated with a frustration of politicians of all parties. It is not a left and right issue . . . a well–written book on a subject that is very much in the public eye. If you are seeking an accurate [account] of what has transpired so far, then this is the book for you." "A must–read . . . Get this book, get informed . . . then get busy!" "After the 2008 election, many believed America was inevitably lurching hard and permanently to the left. The grassroots revolt that is the tea party movement stopped the left′s momentum and may have reversed America′s trajectory. This book′s inside story is the first account of this happy reversal of fortune." "The tea party movement is the long awaited conservative counterrevolution. John O′Hara delivers the meaning behind this movement and what Americans can do next."